Liu Binyan is one of the most prominent intellectuals to expose the problems of Chinese bureaucracy. Undoubtedly mainland China’s most outstanding exponent of reportage literature,1 Liu Binyan has some keen observations on the labyrinth of social and political crises. Through his writings, he has attempted to expose the contradictions and conflicts in mainland Chinese society from the vantage point of the crisis inherent in state socialism. 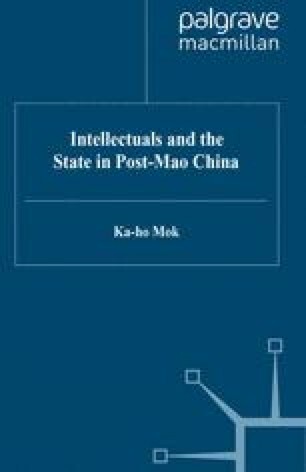 The principal goal of this chapter is to examine how Liu’s social location, educational orientation and intellectual field, and the opportunity structure to which Liu had access, have affected his ideological formation, with particular reference to how Liu’s conceptualization of his world view is related to the socio-political context where he lives. Much of the material reported in this chapter is based upon my personal interview with Liu in Princeton in 1993. Otherwise additional sources and references are specified in the text.